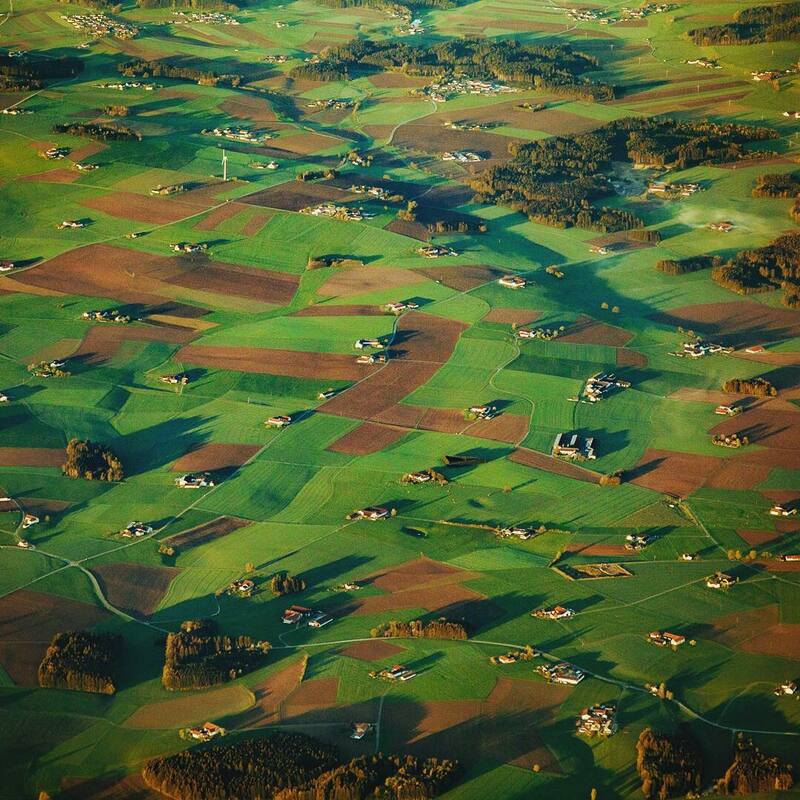 On our flight back to Munich early in the morning I captured this view of the Bavarian countryside. I find it quite amazing how evenly spread all these little farms are. 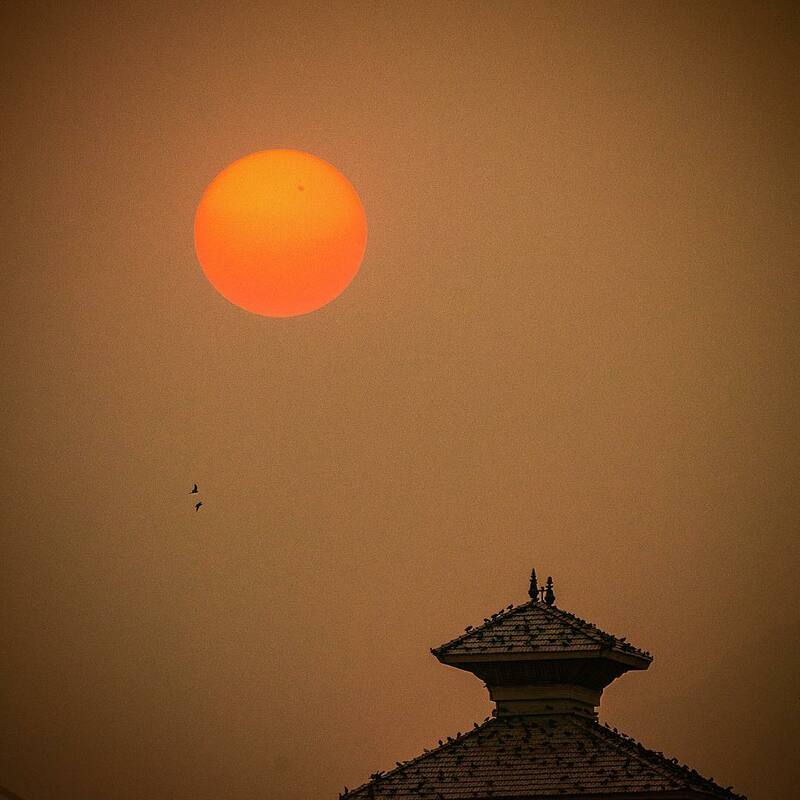 Being back in Kathmandu is almost unreal. 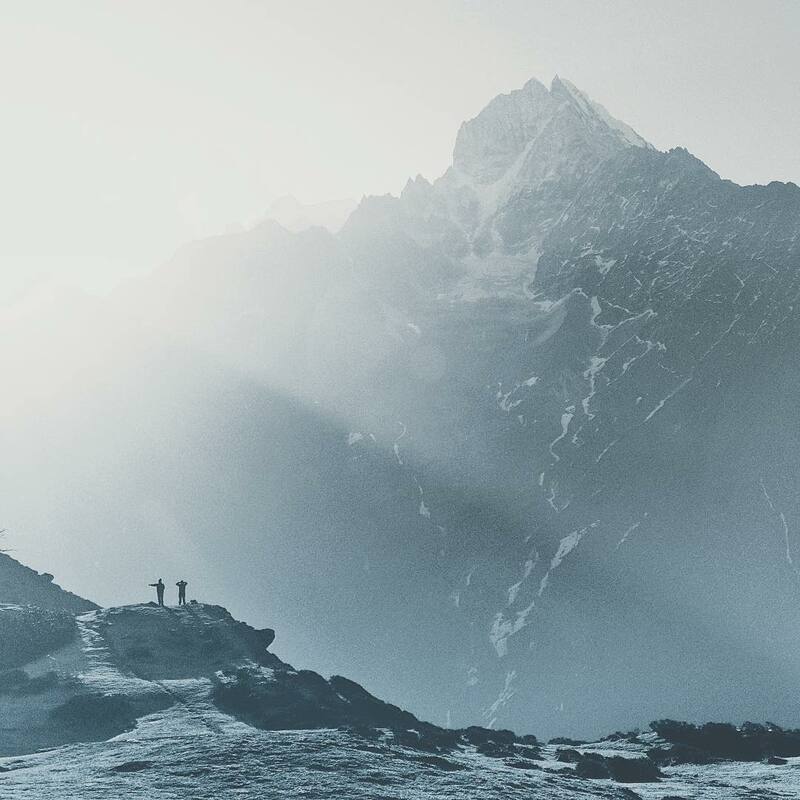 All the noise, the many people, narrow alleys are a huge contrast compared to what we were just able to experience in the Himalayas. …and dwarfs: All of a sudden we feel very small, dwarfed by the huge mountains surrounding our place. Way to put our little everyday problems into perspective. We made it! This the view we finally get to see. 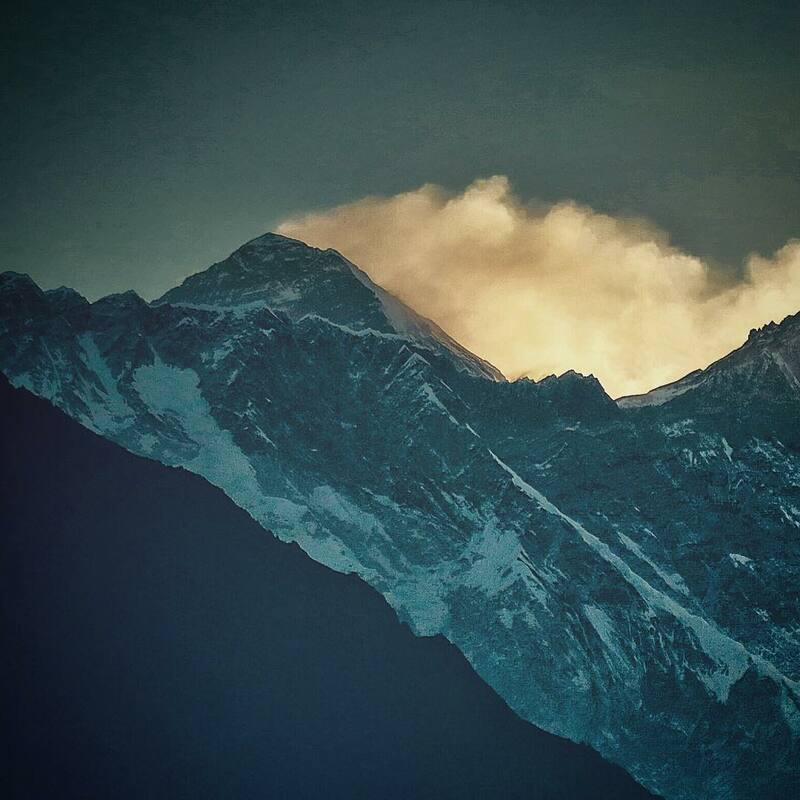 Mount Everest and it’s famous cloud indicating wind speeds on top of the world’s highest mountain. 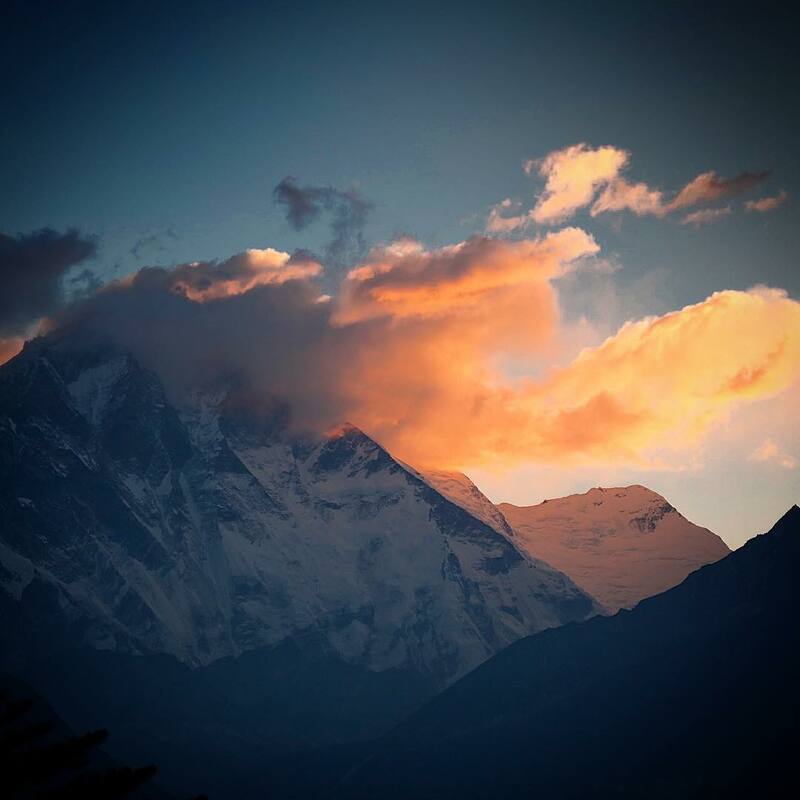 Getting up early to return to Lukla we’re treated with a spectacular view: Mount Lhotse hiding in clouds in the most beautiful fashion we could possibly imagine. On our second leg we had to pass several suspension bridges. 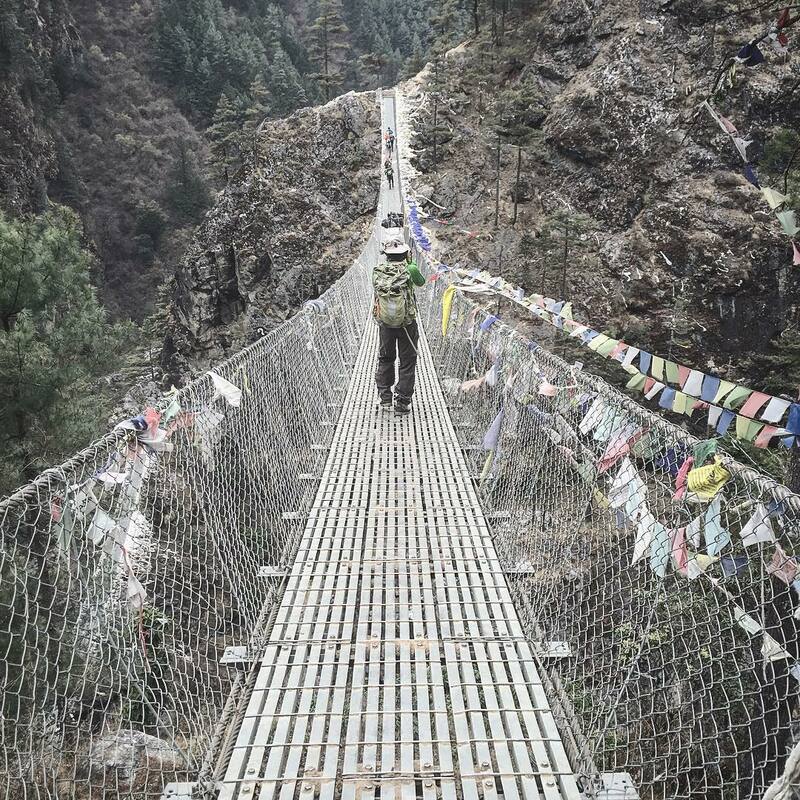 The Hillary Bridge is one of the better-known ones and even had an appearance in the 2015 movie “Everest”. Wow, I can’t believe I’m actually here. I heard so many things about this place, watched so many documentaries. Now I’m here and alive. 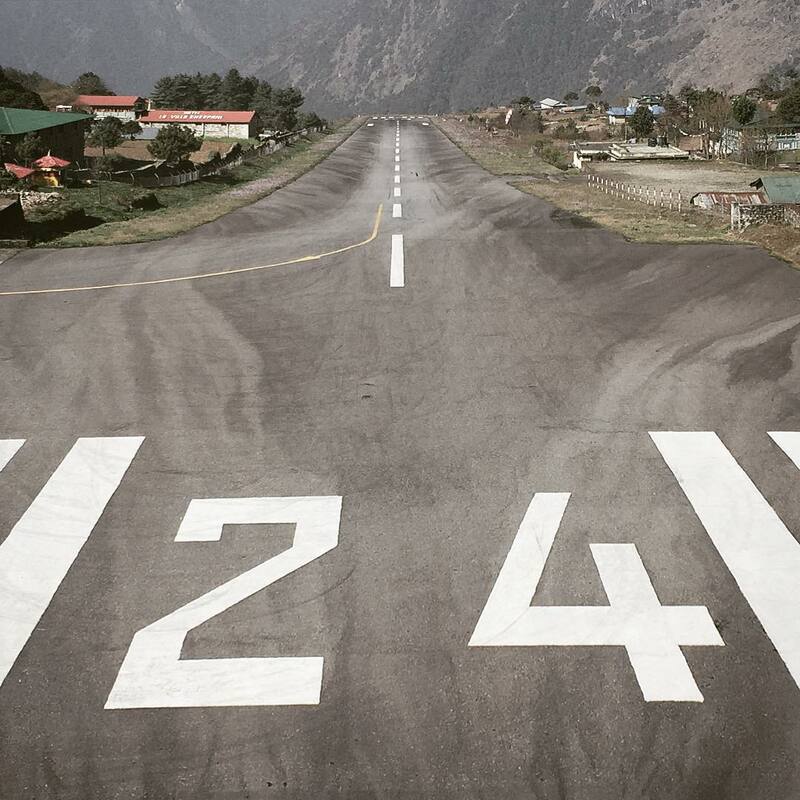 😉 The Tenzing–Hillary Airport is rated as the most dangerous airport in the world. From here my travel companions and I will start our hike up to 4000 meters. First leg is just ahead of us. We’ll reach Phakding in approximately 4 hours. Interesting structure I managed to capture on my flight to Kathmandu. 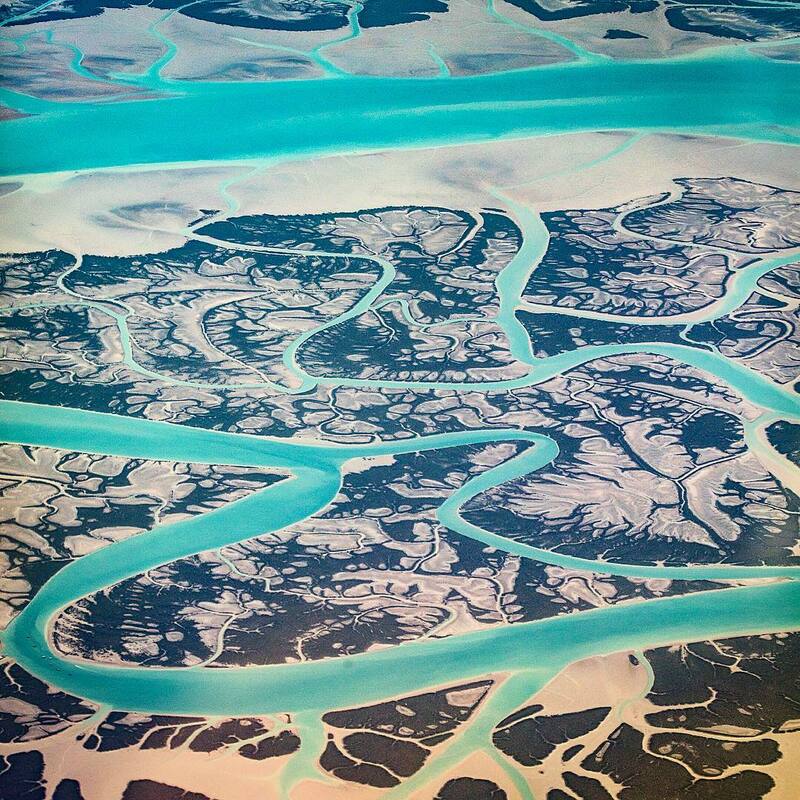 Done some research and now I’m quite sure it is the Indus River Delta where the Indus River flows into the Arabian Sea in Pakistan. 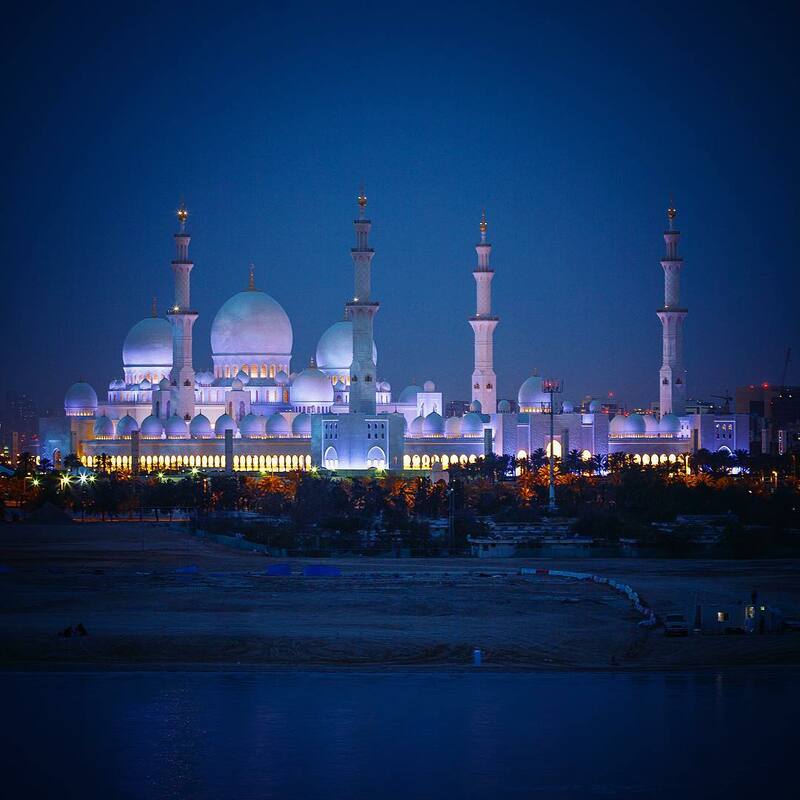 Blue Hour: The Sheikh Zayed Grand Mosque in #AbuDhabi. #sheikhzayedgrandmosque, one of the most memorable places in Abu Dhabi, was constructed from 1996 to 2007. It is the largest mosque in the United Arab Emirates.